According to foodallergy.org, approximately 15 million Americans have food allergies—and the prevalence of food allergies and associated anaphylaxis appears to be on the rise. The Centers for Disease Control & Prevention (CDC) reported food allergies in children increased by 50 percent between 1997 and 2011. And between 1997 and 2008, the prevalence of peanut or tree nut allergy more than tripled in U.S. children. FDA notes more than 160 foods can cause allergic reactions in people with food allergies. Sesame seed, mustard and celery are common examples outside the major eight list. Gluten—commonly found in wheat, rye and barley—is not technically an allergen, but the problematic protein can wreak its own share of havoc for people who are intolerant or sensitive to it. The National Institutes of Health (NIH) estimates one in 100 people worldwide has the autoimmune disorder Celiac disease. Gluten sensitivity numbers are higher, likely 5 to 10 percent of the population, according to Celiac researchers Alessio Fasano, M.D., director of the University of Maryland’s Center for Celiac Research, and Peter Green, M.D., director of the Celiac Disease Center at Columbia University. Navigating life with a food allergy or gluten sensitivity can be challenging, particularly when it comes to eating foods someone else prepared or packaged. Allergen/Gluten Free is one of the categories being recognized in this year’s SupplySide CPG Editor's Choice Awards (ECAs). If your company recently launched a food or beverage innovation with an intentional focus on avoiding one of the eight major food allergens, another potential food allergy trigger or gluten—we’d love to hear about it. Danielle Dunlap, vice president of marketing services for global exhibitions here at Informa, is our resident gluten-free aficionado. She’s found a laundry list of products she loves (and can safely eat) in our past ECA competitions. 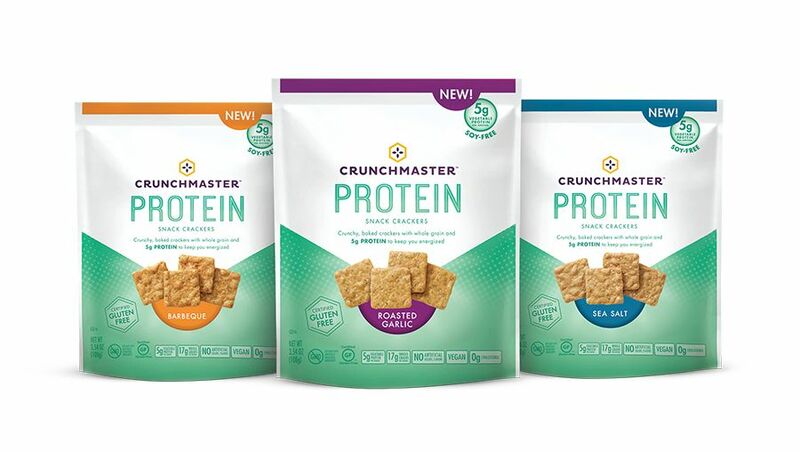 For instance, 2017 Allergen-Free winner Crunchmaster Protein Snack Crackers from TH Foods are kosher, vegan and free from gluten, soy and genetically modified organisms (GMOs)—all while offering 17 g whole grains and 5 g protein per serving. She also loves 2016’s winner Enjoy Life Foods’ Baking Mixes. 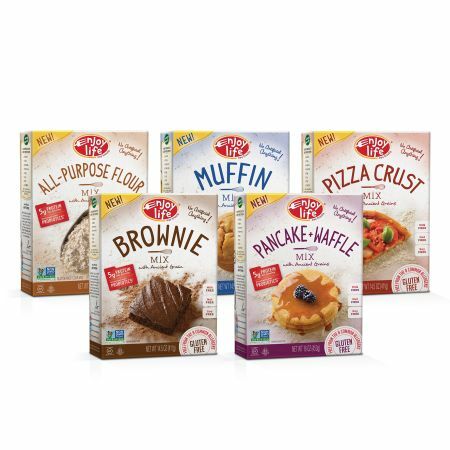 The gluten-free, non-GMO line includes all-purpose flour, muffin, pizza crust, brownie and pancake+waffle varieties. Made from ancient grains, these overachievers include probiotics and plant-based protein, and are not only free from FALCPA’s eight major allergens, but the top 14 allergens recognized by the European Union (EU). While both these products boasted gluten-free and additional allergen-free positioning, to be eligible for the Allergen/Gluten Free category, products only need to be free from one thing, whether gluten or a top allergen. If a product is free from additional allergens, that’s great; but all entrants will be evaluated equally for innovation, taste and the “cool” factor. Our judges would like to note, though, products should not tout “free from” positioning if the item does not typically contain that substance (such as gluten-free carrots or fish-free bread). Avoiding certain ingredients while delivering a delicious experience is an art. And we’d love to see how your latest innovation stacks up against the competition. If your Allergen/Gluten Free product was launched to the U.S. consumer market between July 2017 and August 2018, click the following link to enter the 2018 ECAs. Products (not prototypes) must be submitted by the CPG brands or their representatives, not by ingredient or component suppliers, and the submission deadline is Wednesday, Aug. 22, 2018. Please note, samples must be received by this date, so time is of the essence. Five finalists in each category will be showcased through the SupplySide Health & Nutrition Network brands, and winners announced at SupplySide West in Las Vegas, Nov. 6-10, 2018.